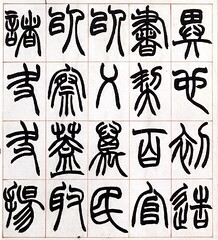 Zhao Zhiqian (趙之謙, 1829-1884) was a renowned Chinese calligrapher, seal carver and painter in the late Qing Dynasty. 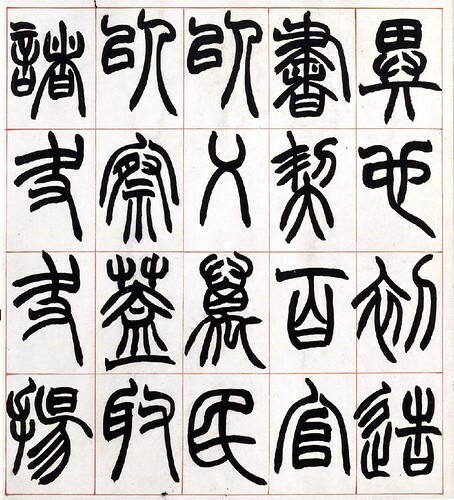 Zhao’s seal carving had profound influence on the later masters, such as Wu Changshuo (吳昌碩) and Qi Baishi (齊白石). He is also known under the courtesy name of Yifu (益甫) and his pseudonym of Lengjun (冷君), which he changed to Huishu (撝叔) and Bei'an (悲盦) respectively later in his life. Zhao was born in 1829 in Shaoxing, Zhejiang Province. He became a Xiucai at the age of 20, and obtained the title Juren in 1859 in the Zhejiang provincial exam. With the outbreak of Taiping Rebellion in the following year, his political ambition was hindered. During the Taiping Uprising, his family shattered, and a number of his art works as well as his collections were lost. Later, he went to Beijing for the national exams. After repeated failures, he gave up his dream of becoming a government official. He submitted a request to become an alternative governor of a county in Jiangxi Province. Zhao died in 1884 at the age of 56.